The Alfa Romeo Giulia at its unveiling in Milan, Italy. 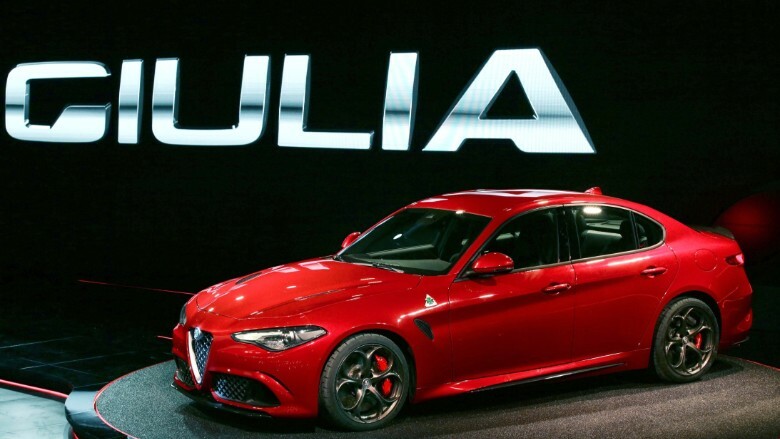 Fiat Chrysler's push to reinvigorate the Alfa Romeo brand took another step forward with the unveiling of its new top-end car, the Guilia. Alfa Romeo, which returned to North America after a 20-year absence last year, had a high profile presentation in Milan, Italy, accompanied by tenor Andrea Bocelli signing opera. The car has six-cylinders, 510 horsepower and can go from 0 to 60 mph in less than 4 seconds. 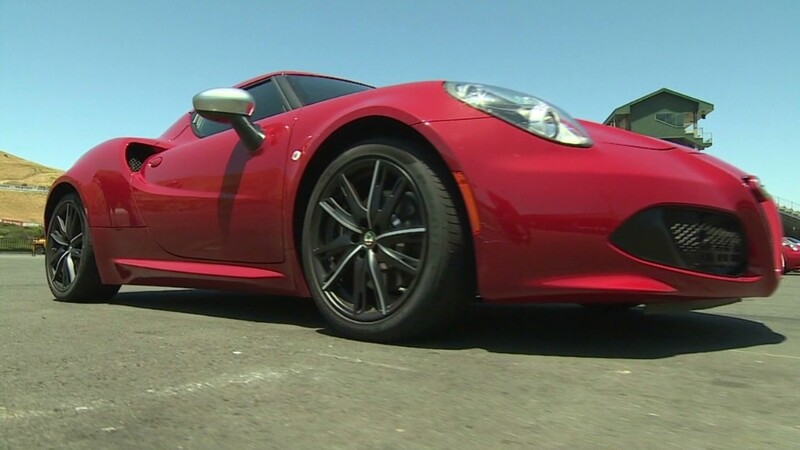 The only Alfa Romeo now available in the United States, the 4C, has only 4 cylinders and 237 horsepower. The Guilia is expected to be available in the United States next year. It is the first of eight new models that Alfa Romeo intends to develop by 2018. Fiat Chrysler (FCAU) expects to invest €5 billion, or $5.6 billion, in those develop those cars. Its goal is to use those new models to increase sales from 74,000 in 2013 to 400,000 a year by 2018.